Veteran US TV journalist Jim Clancy has abruptly left the international news broadcaster after 34 years, following a seemingly tangential Twitter argument over Charlie Hebdo that escalated to a verbal war between Clancy and pro-Israel social media users. 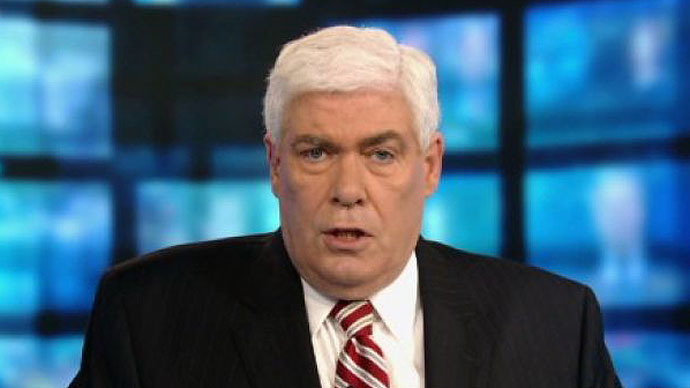 “Jim Clancy is no longer with CNN. We thank him for more than three decades of distinguished service, and wish him nothing but the best,”said a terse statement from the Atlanta-headquartered network, which had sent Clancy as a reporter to Beirut, London, and Berlin before making him a senior anchor and contributor. Although neither Clancy nor CNN revealed the reasons for the departure, almost all media outlets connected it with a somewhat incoherent Twitter spat that began in the wake of the fatal attacks on Charlie Hebdo, the satirical French magazine. “The cartoons NEVER mocked the Prophet. They mocked how the COWARDS tried to distort his word. Pay attention,” tweeted Clancy on January 7 – from an account that has since been deleted – referring to the magazine’s editorial output. The ironically-named anonymous pro-Israeli blogger Elder of Ziyon, and Oren Kessler, a Jewish-American Middle East analyst, both piped in with comments contradicting Clancy, saying that there had been explicitly anti-religious cartoons, and reminding the journalist that the magazine had been previously targeted by Islamists. The debate then took an odd turn, with Clancy tweeting “Hasbara” – the name for Israel’s policy of spreading its message through mass media. “This is great, a pro-Israel voice try [sic] to convince us that cartoonists were really anti-Muslim, and that’s why they were attacked. FALSE. These accounts are part of a campaign to do PR for Israel(including “Jews Making News”) but not HR (Human Rights. ),” read one tweet. Despite being met with incomprehension, Clancy then mysteriously tweeted “It's called satire” before launching into a series of general anti-Israeli comments. Several included mentions of Israeli officials being tried at the International Criminal Court, as well as Israeli settlements – a subject Clancy has covered extensively. The seemingly unprovoked outpouring sparked the ire of the Ruderman Family Foundation, a Jewish disabled people’s foundation. The moral of the Jim Clancy resignation has nothing to do with Jews, contra @ggreenwald, but is as follows: Don't drink and tweet. More and more media outlets picked up on the story, and Clancy first deleted several of the more inflammatory posts, and then eventually his account. However, screenshots of the tweets had been saved by Gawker and several other outlets.